The content of Mosaic Hub products is variable and depends on the selection done by the user during the order process. The Product Guide describes all available contents. The following chapter give more detailed information on the available bands. The Mosaic Hub delivers products with surface reflectance bands chosen by the user in the band selection section of the Mosaic Hub order panel. 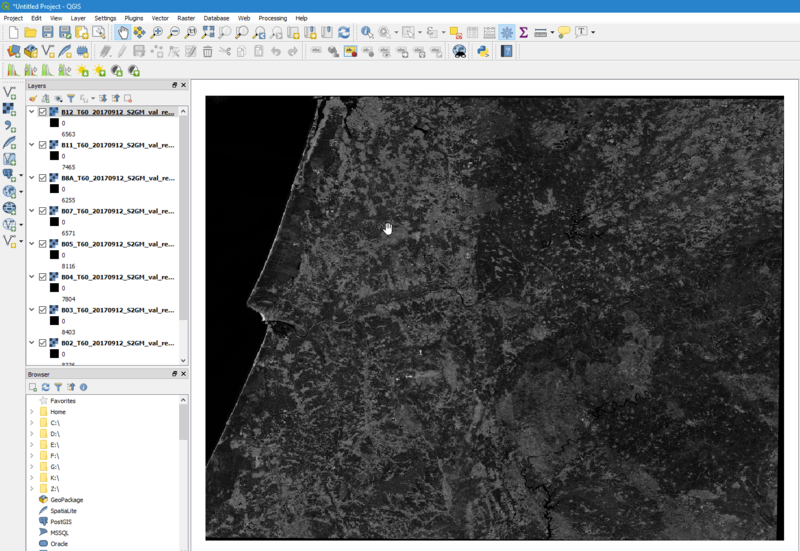 The surface reflectance is computed using the “Sentinel-2 Atmospheric Correction” (L2A_AtmCorr) algorithm implemented into Sen2Cor and is based on Radiative Transfer Look-Up Tables (LUTs) pre-calculated with LibRadtran. 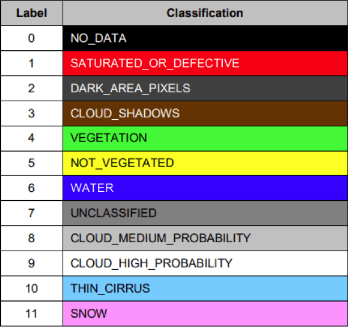 The following table lists the available bands and corresponding native resolutions of the Sentinel-2 L2A input products. All products additionally provide quality indicator bands, if selected by the user. The products additionally provide view and sun geometry information, if selected by the user. The products provide information on the validity of an observation (pixel), if selected by the user. Finally, a quality measure for the Medoid compositing algorithm is included, if selected by the user. The raster products of the Mosaic Hub are provided either projected in UTM(WGS84) or unprojected (lat/lon) using WGS84. The Universal Transverse Mercator (UTM) conformal projection is not a single map projection. Instead, the system divides the Earth into sixty zones, each being a six-degree band of longitude, and uses a secant transverse Mercator projection in each zone. WGS84 is used as ellipsoid for UTM. WGS84 is an Earth-centered, Earth-fixed terrestrial reference system and geodetic datum. WGS84 is based on a consistent set of constants and model parameters that describe the Earth’s size, shape, and gravity and geomagnetic fields. The properties of the file formats are described in the following chapter. Where needed, a distinction is made between the different formats. File structures are mainly identical for GeoTiff, Jpeg2000, and NetCDF. Therefore, no explizit chapters for the single formats exist. Differences are indicated within the individual sections. The Mosaic Hub products are organized in a folder structure. 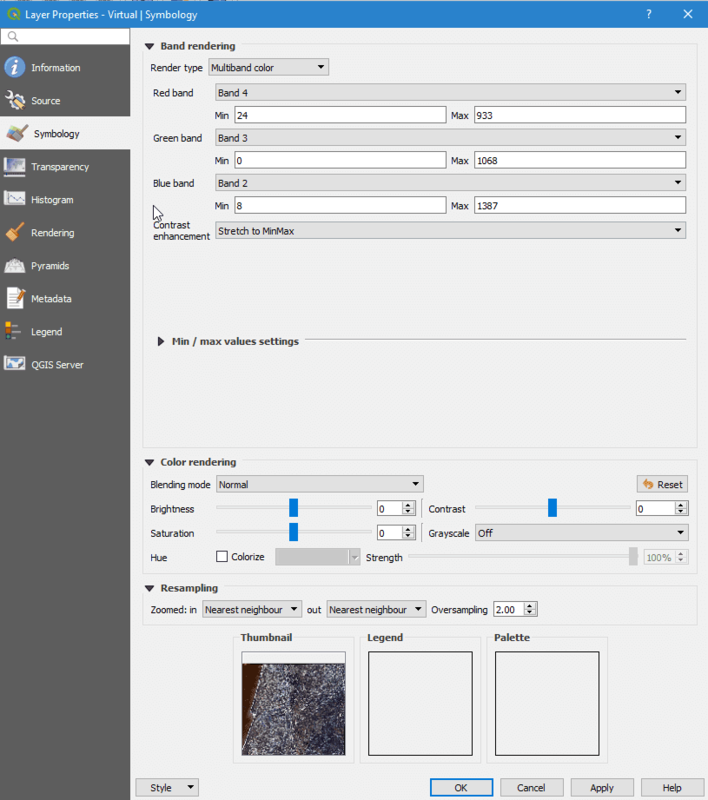 The product’s structure consists of a base folder, containing all data of one order, a sub/tile folder containing one or multiple folders, holding a single product or tiles if a tiling is needed. Within these sub folders, the actual data is stored. Depending on the format, the number of files varies. 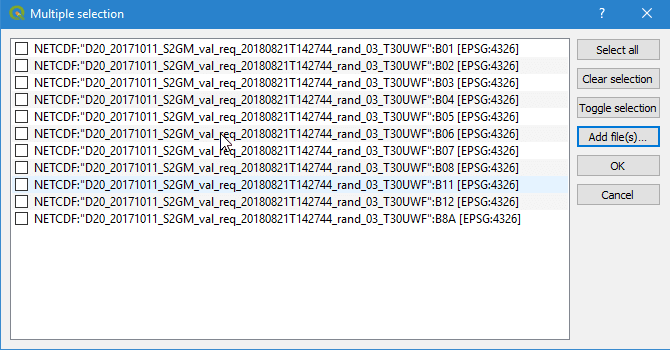 The product is delivered in 23 separate files. 22 GeoTiff/Jpeg2000 files contain the raster bands described in the ‘Data’ section, one JSON file containing metadata information, and one XML file also containing INSPIRE conform metadata information. The product is delivered in 2 separate files. One NetCDF file containing all raster bands, one JSON file containing metadata information, and one XML file also containing INSPIRE conform metadata information. The product is split into the area of original Sentinel-2 granules. 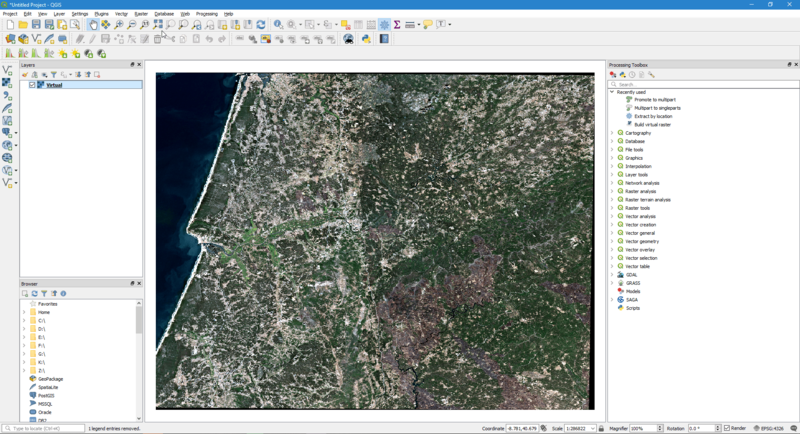 For a detailed description of the Sentinel-2 tiling scheme please visit the official website. A tiling of the products is only done if the UTM projection is chosen as CRS and the chosen area exceeds a certain size. Naming conventions are mainly identical for GeoTiff, Jpeg2000, and NetCDF. Therefore, no explicit chapters for the individual formats exist (differences are indicated where necessary). 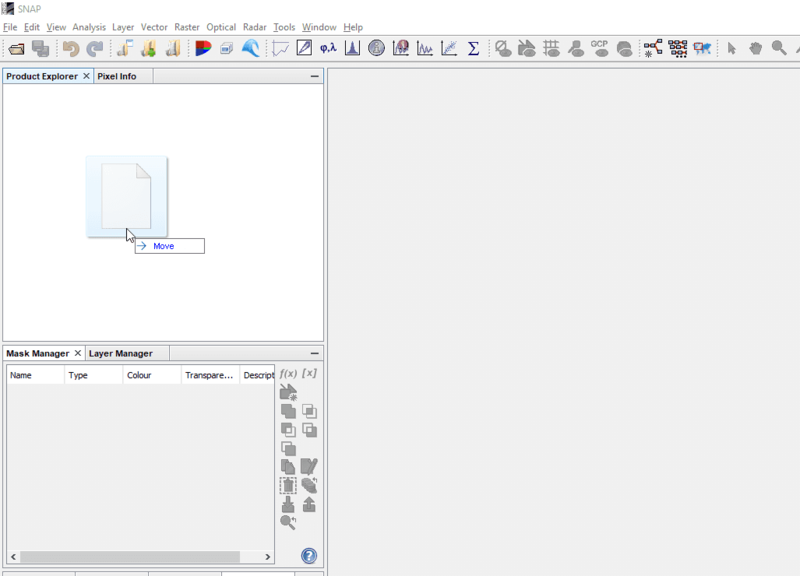 The naming of the subfolders differ for tiled and none-tiled products (see tiling). 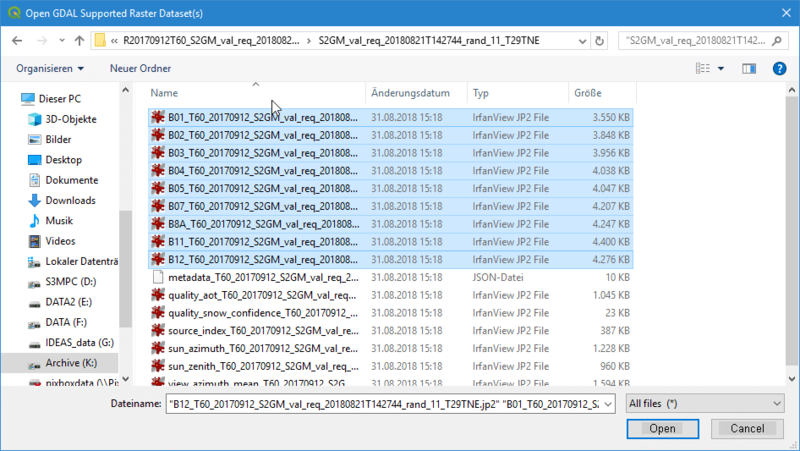 The file naming differs for GeoTiff/Jpeg2000 and NetCDF due to the structuring of the files. General metadata which contain quasi static information, such as the name of the service, contact information, etc. These are primarily emerging from INSPIRE requirements and are reported in an INSPIRE-compliant XML file. 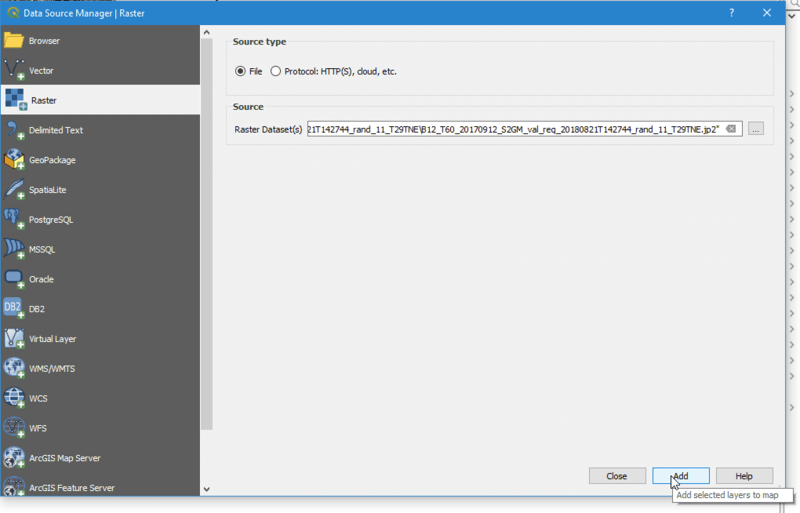 Production metadata provide detailed information how the product has been produced including production date and time, algorithm version, information of data lineage, and the list of Sentinel-2 input products linked with the source index file (included in the JSON file). Quality indicators at product level are stored in the quality metadata group (included in the JSON file). In addition, variable metadata provide information on specific variables. Several items of them reveal technical details (scaling and offset parameters, units, etc.) on the way the data is organised in the file, which can then be interpreted by the software reading the data. (included in the JSON file). 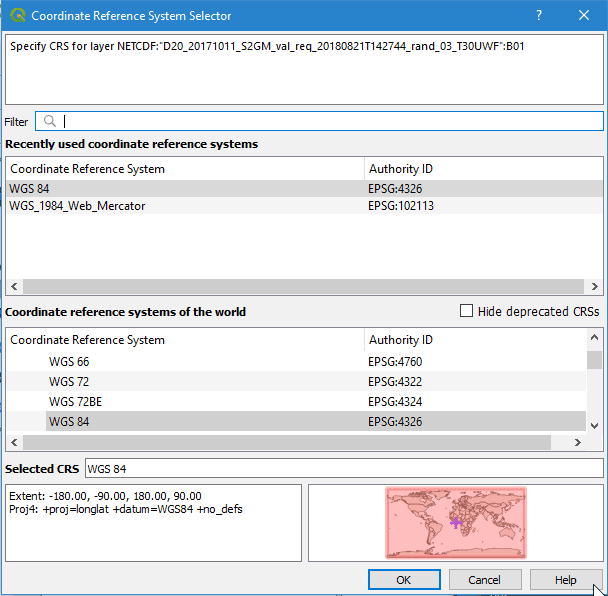 The GeoTiff / Jpeg2000 files contain the INSPIRE-compliant XML and a JSON file, while the NetCDF additionally includes the same information in the internal metadata. Title N/A unitless N/A This a characteristic, and often unique, name by which the resource is known. Summary N/A unitless N/A This is a brief narrative summary of the content of the resource. Processing_baseline 0 to ∞ unitless N/A Processing version number (0.1.0, …) also reflected in the filename. Resolution_distance 10 to 60 m N/A A resolution distance shall be expressed as a numerical value associated with a unit of length. Source_product_list S2A | S2B unitless N/A Internal list of input filenames used for production. unitless 1 This is the extent of the resource in the geographic space, given as a bounding box. The bounding box shall be expressed with westbound and eastbound longitudes, and southbound and northbound latitudes in decimal degrees, with a precision of at least two decimals. Point of contact (metadata) - organisationName N/A unitless N/A This is the description of the organisation responsible for the creation and maintenance of the metadata. Responsible party / Organisation Name N/A unitless N/A This is the description of the organisation responsible for the establishment, management, maintenance and distribution of the resource. Metadata date 1-366 unitless 1 The date which specifies when the metadata record was created or updated. Identifier Code N/A unitless N/A A value uniquely identifying the resource. Resource abstract N/A unitless N/A This is a brief narrative summary of the content of the resource. Resource locator N/A unitless N/A The resource locator defines the link(s) to the resource and/or the link to additional information about the resource. Topic category N/A unitless N/A The topic category is a high-level classification scheme to assist in the grouping and topic-based search of available spatial data resources. Keyword from INSPIRE Data themes N/A unitless N/A The keyword value is a commonly used word, formalised word or phrase used to describe the subject. While the topic category is too coarse for detailed queries, keywords help narrowing a full text search and they allow for structured keyword search. Free keyword N/A unitless N/A The keyword value is a commonly used word, formalised word or phrase used to describe the subject. While the topic category is too coarse for detailed queries, keywords help narrowing a full text search and they allow for structured keyword search. Originating controlled vocabulary N/A unitless N/A If the keyword value originates from a controlled vocabulary (thesaurus, ontology), for example GEMET, the citation of the originating controlled vocabulary shall be provided. This citation shall include at least the title and a reference date (date of publication, date of last revision or of creation) of the originating controlled vocabulary. Date of creation 1-366 unitless 1 This is the date of creation of the resource. There shall not be more than one date of creation. Date of publication 1-366 unitless 1 This is the date of publication of the resource when available, or the date of entry into force. There may be more than one date of publication. Date of last revision 1-366 unitless 1 This is the date of last revision of the resource, if the resource has been revised. There shall not be more than one date of last revision. 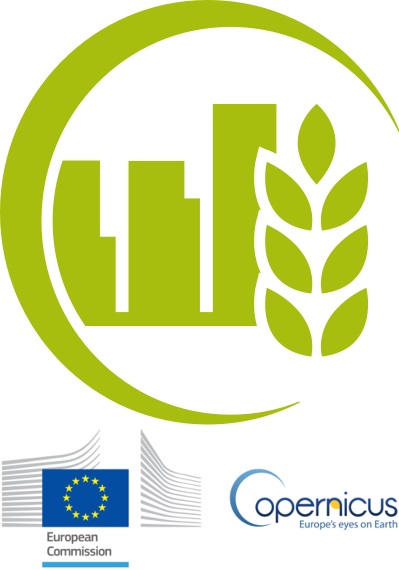 Conditions applying to access and use N/A unitless N/A This metadata element defines the conditions for access and use of spatial data sets and services, and where applicable, corresponding fees as required by Article 5(2)(b) and Article 11(2)(f) of Directive 2007/2/EC. Limitations on public access N/A unitless N/A When Member States limit public access to spatial data sets and spatial data services under Article 13 of Directive 2007/2/EC, this metadata element shall provide information on the limitations and the reasons for them. If there are no limitations on public access, this metadata element shall indicate that fact. Resolution distance 10 to 60 m N/A A resolution distance shall be expressed as a numerical value associated with a unit of length. Unit of measure N/A m N/A A resolution distance shall be expressed as a numerical value associated with a unit of length. Temporal extent / Starting date 1-366 unitless 1 The temporal extent defines the time period covered by the content of the resource. This time period may be expressed as any of the following: - an individual date, - an interval of dates expressed through the starting date and end date of the interval, - a mix of individual dates and intervals of dates. Temporal extent / Ending date 1-366 unitless 1 The temporal extent defines the time period covered by the content of the resource. This time period may be expressed as any of the following: - an individual date, - an interval of dates expressed through the starting date and end date of the interval, - a mix of individual dates and intervals of dates. Conformity N/A m N/A This is a citation of the implementing rules adopted under Article 7(1) of Directive 2007/2/EC or other specification to which a particular resource conforms. A resource may conform to more than one implementing rules adopted under Article 7(1) of Directive 2007/2/EC or other specification. This citation shall include at least the title and a reference date (date of publication, date of last revision or of creation) of the implementing rules adopted under Article 7(1) of Directive 2007/2/EC or of the specification. Lineage N/A m N/A This is a statement on process history and/or overall quality of the spatial data set. Where appropriate it may include a statement whether the data set has been validated or quality assured, whether it is the official version (if multiple versions exist), and whether it has legal validity. Unit N/A m N/A A resolution distance shall be expressed as a numerical value associated with a unit of length. Scaling_factor 0 to ∞ unitless 1 number which scales, or multiplies, some quantity. 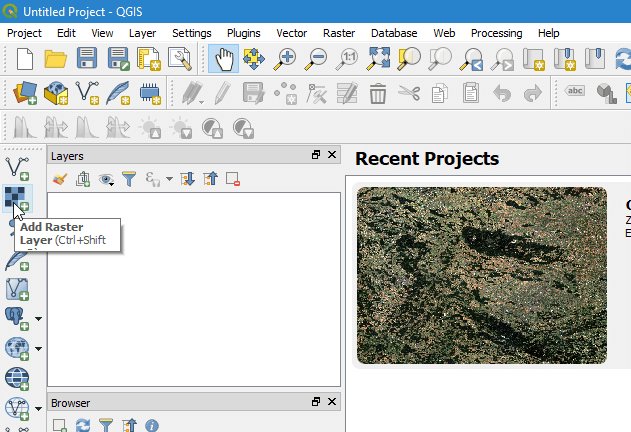 In this section, you will get a brief introduction how to open Mosaic Hub products in SNAP or QGIS. The introduction is limited to the two most common open source platforms used for Sentinel-2 data. The simplest way of directly using the Mosaic Hub products is by using SNAP. In SNAP you can simply select the .json file in the open file dialogue box or drag and drop the .json file on the “Product Explorer” window. There is no difference if the product is delivered in GeoTiff, Jpeg2000 or NetCDF format. A precondition for working with the mosaics is to install the S2GM SNAP reader plugin as described here. Drag & drop .json file on the “Product Explorer” part in SNAP (see figure 4.6). Afterwards the product will be shown in the “Product Explorer” window. Now you can investigate the content of the product by clicking on the “+” signs. To view the product, right-click on the product name in the “Product Explorer” and select “Open RGB Image Window”. 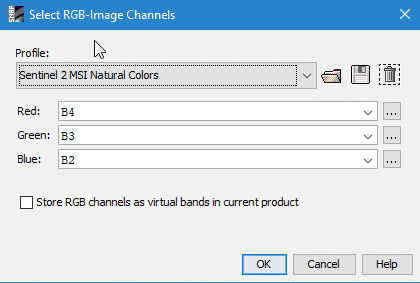 In the “Select RGB-Image Channels” window choose a band combination that fits your needs. In this example, the combination of Bands 4, 3, and 2 were used for RGB. The selected RGB combination will be shown in a new window. 2. In the “Available Plugins” tab of the Plugin Manager, select the S2GM SNAP Plugins by ticking the “Install” check box. Click on the Install button in order to start the installation process. Confirm the installation. Click on Next. 4. It might be necessary to accept the license agreement. Click on Install. The download and the installation starts. In order to finalise the installation, SNAP Desktop needs to be restarted. Choose if you want to restart now or later and click Finish. QGIS users need to apply more steps to visually inspect the product. 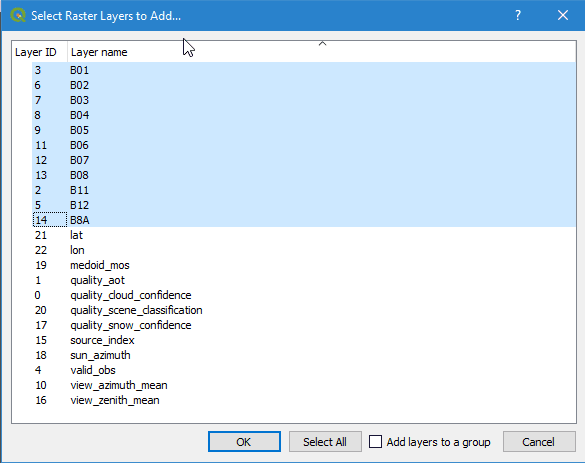 Use the “Add Raster Layer” button and select the single files and add them to QGIS. 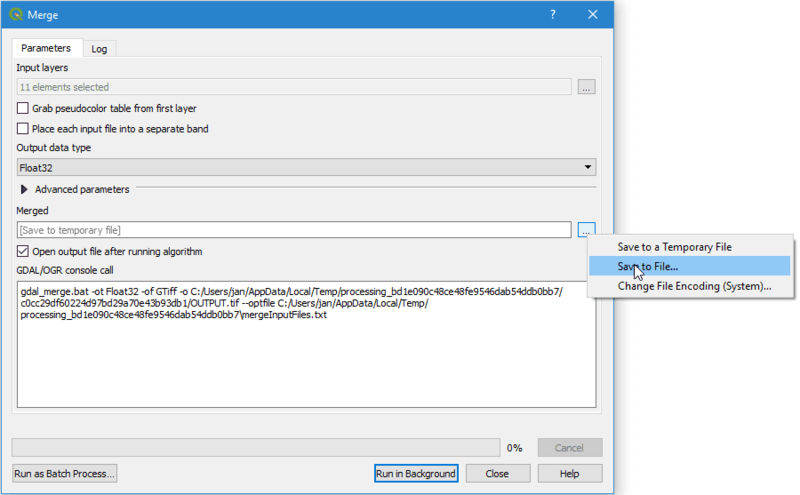 If you use these two options, you will end up with single raster bands in QGIS which you can inspect as greyscale images. If you want to create a raster stack from which you can create an RGB view, you first have to stack the single files. For this again two options exist. 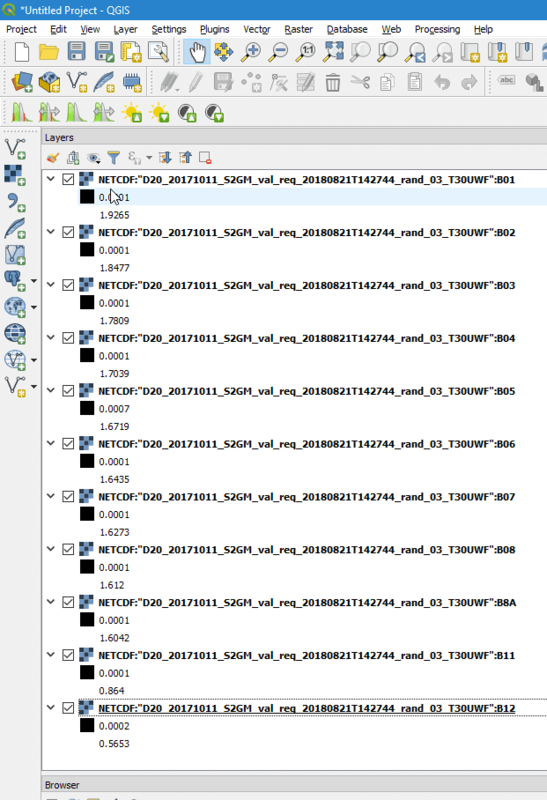 Either you merge the data into a single raster stack or you create a GDAL Virtual Raster called VRT. 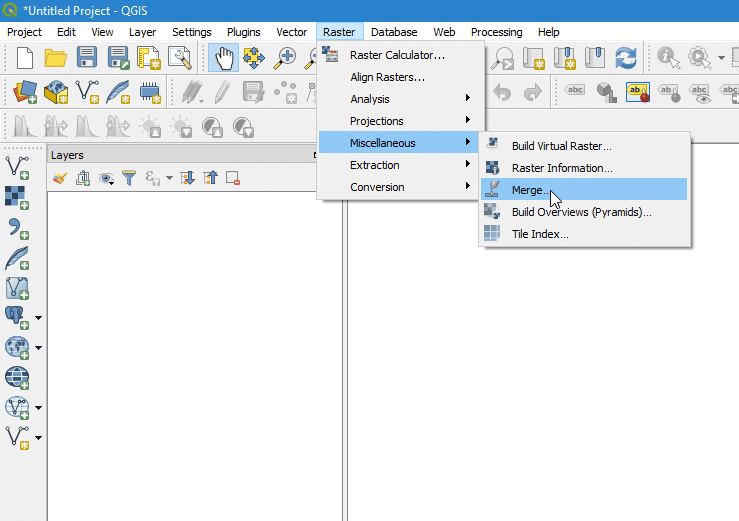 For the first option, you need to select “Raster” -> “Miscellaneous” -> “Merge…”. Click Add files(s) and select the files you like to stack. 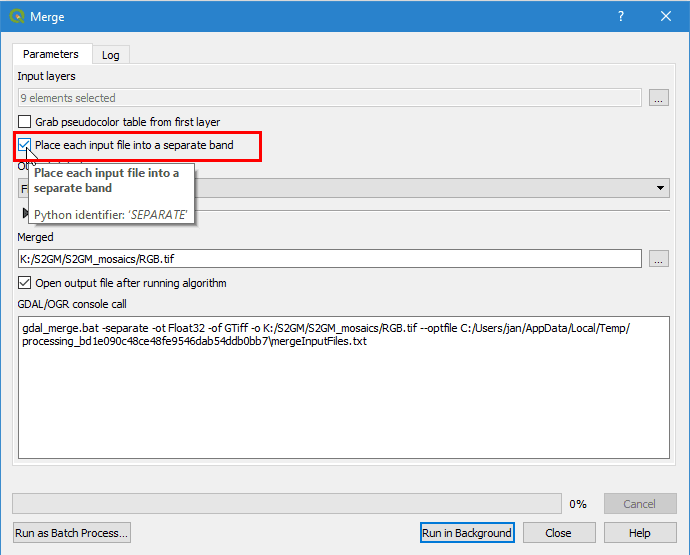 Then click OK. Make sure you check the “Place each input file into a seperate band” check-box. Click the […] button and select Save to “File…”. 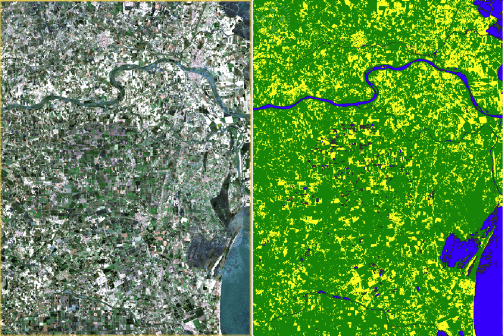 Depending on your preferences you can choose between different output formats like GeoTiff. 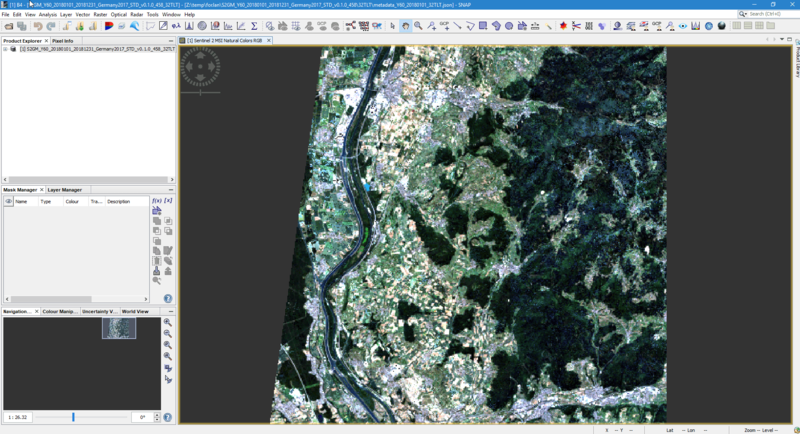 If you choose GeoTiff, you might wish to build image pyramids for faster display later on. 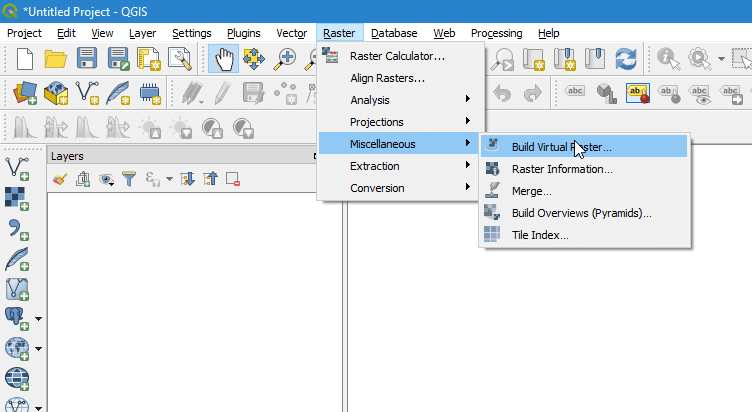 If you decide to create a virtual raster stack (VRT), you need to select “Raster” -> “Miscellaneous” -> “Build Virtual Raster…”. The steps are the same as for “Merge..”. Again make sure to check “separate”. The generated product is very small, as it is only a reference to the real data, but it will be slow for the display of bigger images. 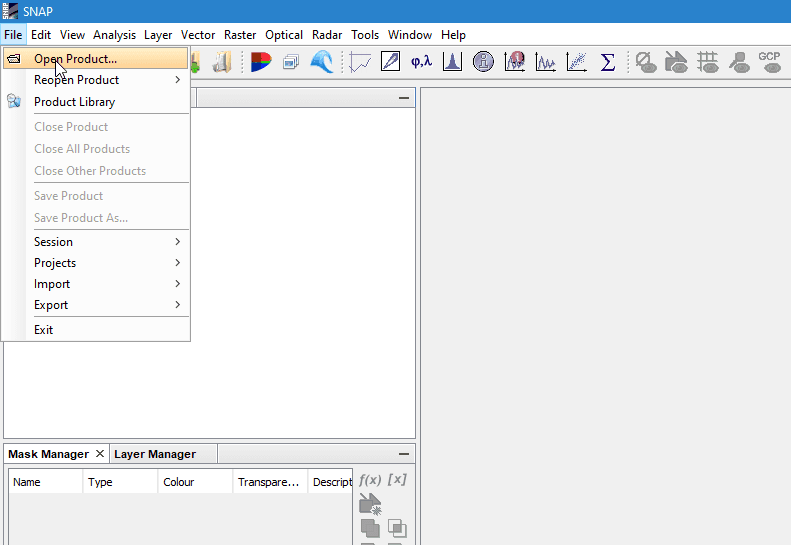 Once one of the two processes is finished, the resulting layer stack will be loaded into QGIS. 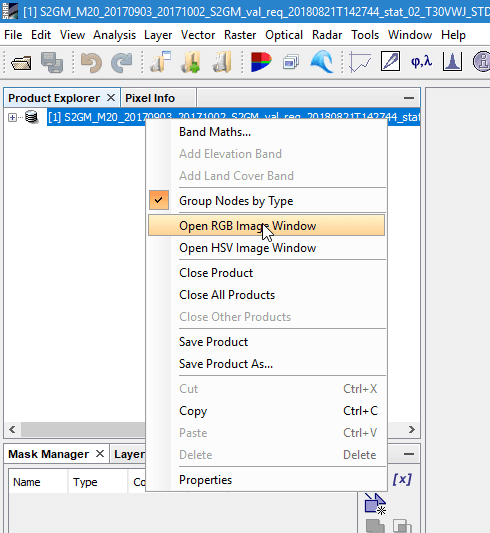 Now you can open the layer’s property window and select the bands you like to view as an RGB. For this example we have chosen R/G/B = 4/3/2. 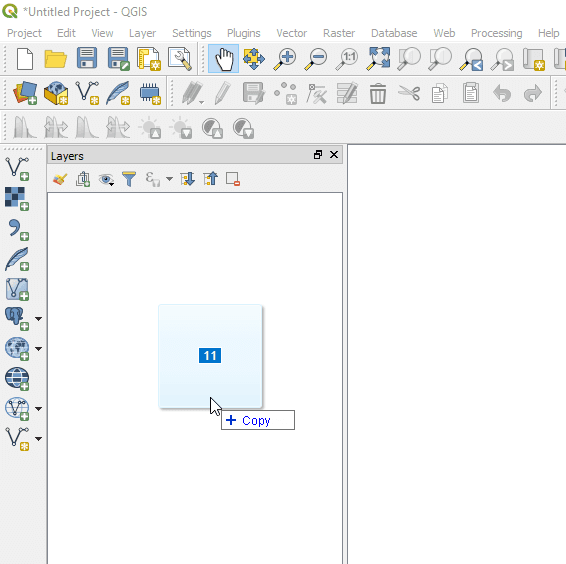 Afterwards your selection will be displayed in QGIS. The time series extracts are provided in CSV format.